The perennial Healthy Keiki Camp question: Who had more fun–the keiki or the medical students? Pictured: Leilani Manglicmot, JABSOM MD 2020 candidate, shows keiki healthy snack alternatives. Deborah Manog Dimaya photo. 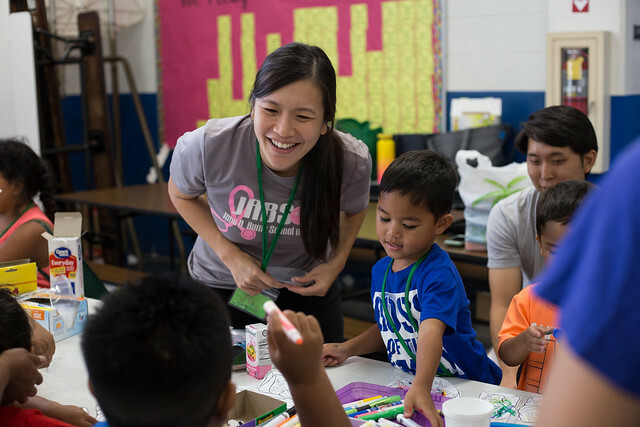 Every year the John A. Burns School of Medicine Alpha Omega Alpha — that’s the medical student honor society — invites keiki in kindergarten to the fifth grade to join them for a day of health-related activities hosted by medical students. Lunch and a snack are provided, with the support of AOA, the University of Hawaii medical school, the Hawaii Academy of Family Physicians and Sodexo. 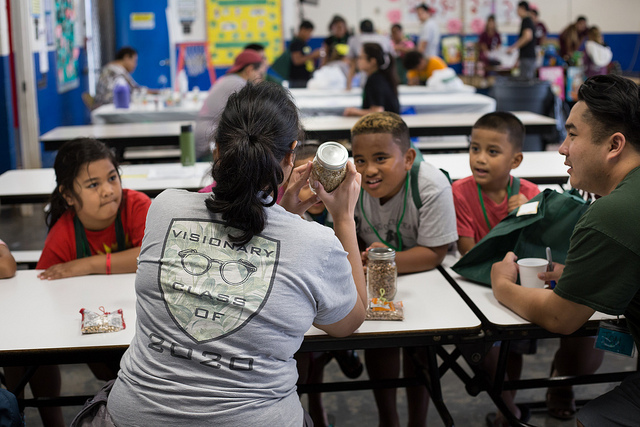 This year’s Healthy Keiki Camp was held at Linapuni Elementary in Kalihi on March 23 from 11 a.m. – 4: 30 p.m.
You be the judge as to who was having more fun, from these photos from this year’s camp!